The NCD police hierarchy is working with Telikom PNG Ltd to allocate police a toll free number to go together with a new police unit that will be establish, called NCD Task Force. 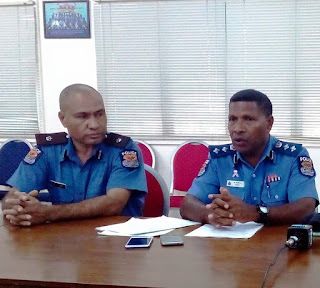 NCD Police Metropolitan Superintendent, Perou N’Drano said all this is part of his plan to regain the public confidence in the police force by ensuring a quick response time by police to any incident in the city. “When the public call to the toll free number, the operation centre direct the taskforce unit to respond to the call or calls,” N’Drano said. N’Drano said his team is working closely with the telecommunication company to issue a toll free number and he hopes this can be arranged before the end of the year.